South Korean banks are rushing to issue hybrid bonds to bolster capital to meet the tougher BaselⅢ capital adequacy ratio. 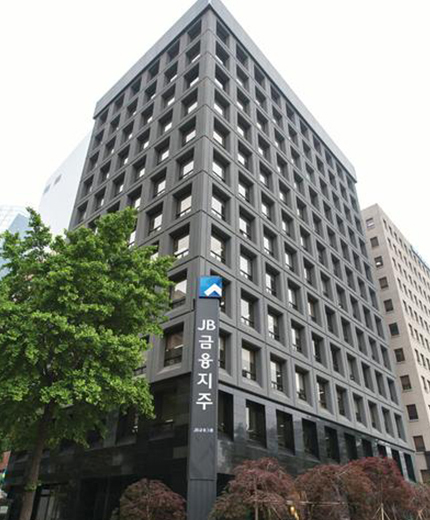 JB Financial Group Co. announced in a disclosure Thursday that it will offer 300 billion won ($265.2 million) worth hybrid securities in the country to increase its capital base. Coupon rate and yield to maturity will be determined after a book-building session, the company said. Hybrid bonds are regarded as an asset, rather than debt in the balance sheet, an attractive option to financial companies who need to expand capital ahead of the introduction of IFRS17 accounting standards and Basel Ⅲ capital adequacy ratio. Hybrids are perpetual bonds that pay return rates as in equity pays dividends. Suhyup Bank placed 200 billion won issue in hybrid securities on Monday, its second hybrid offering following the issuance in May last year, to make up a 0.6 percentage point cut in its BIS capital adequacy ratio caused by pubic fund repayment worth 130 billion won. The state-run Industrial Bank of Korea (IBK) also issued 350 billion won worth won-denominated hybrid debt with a call option last week. It offered 220 billion won worth securities with an option to buy after five years at a coupon rate of 3.09 percent, which was 120 basis points above the country’s 5-year government bond yield, and 130 billion won in securities with a 10-year call option at 3.40 percent, 128 basis points above 10-year government bond yield. The issuance would boost the lender’s BIS ratio and tier 1 capital ratio by 0.21 percentage point each. South Korean banks that recorded strong earnings last year have improved their capital base through hybrid offerings to meet the BaselⅢ capital adequacy ratio introduced in 2013. Hybrid bonds and subordinate debts issued before the introduction of the BaselⅢ standard are deducted by 10 percent annually from equity capital.